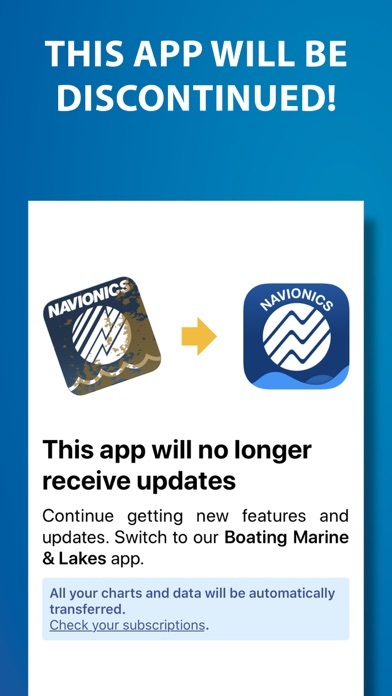 IOS App Developer: NAVIONICS S.R.L. When I purchased the app last May, I thought the app was NOT subscription based. It seems now you want me to pay yearly or my app won’t work. Not cool! Bought this app for lake contour and was fine February thru July. Now back to use it again under my subscription and no map contour. Basic maps. Developers state old version. Need to update app. iOS shows version 11.1 only and that’s updated not the13.1 they stated. Would like refund!!!! Got this app 3 years ago as a backup to my Simrad chart plotter. However with the features, more user-friendly interface, screen clarity and portability, this is now my primary navigation tool. Works in and out of cell range equally. Anyone complaining about the subscription cost has never purchased a proper chart plotter with map updates. The app is just about useless as whenever I scroll around the screen it takes me to my web browser for thunderforest terms of service. I can’t look at a new area and look around as this is constantly happening. I prefer inavx with the navionics charts. The app is great for reference. But I wouldn’t trust it to plot a route. It seems to revert back to old data (when the water was far shallower) but only when plotting a route on Lake St. Clair. Other than that its great. I really wish this didn’t happen. Great navigation app! Needs Active Captain. I use this app for its excellent auto-routing capability, to determine reliable ETAs and distances, and (when I’m driving the boat while my husband showers, etc.) to make sure I’m on course and aware of necessary information. My biggest criticism is that there is not enough user/community data - we need more anchorages, docks, marinas, and reviews of same. We’re cruising now and I regularly find myself referencing AquaMap’s Active Captain data to find more options for places to dock/moor/anchor, and to read the helpful reviews to determine usefulness for our situation. PLEASE ADD Active Captain to your app. Also: PLEASE CREATE A LARGER CHARACTER FIELD FOR in-app user-entered site INFORMATION AND REVIEWS, it’s currently way to small. I’m wicked impressed with the accuracy of your auto-routing feature, thank you! I love this app, and probably would not have completed the R2AK last year without its constant usefulness. I have however had a big problem with the app after I repurchased it this year. Every time I open the app, there are a couple dangerous screens that I have to navigate through, by declining to login. This is unacceptable. I do not need to login to use a map. And sometimes when I open the app it’s because I need to know the depth or tides NOW. Not a few screens later. I have not found a way to stop Navionics from asking me to login. I am not going to login. Please add a “turn off login” option under privacy in the menu. Thank you. The is my chart plotter and basically a good one. A big annoyance is that while panning with one finger the screen arbitrarily zooms. Very very frustrating. I went to the Help section of the app and on the bottom there is a searchable web option. However, as soon as the keyboard appears, the keyboard disappears. Very strange behavior. I Dishley get this app one star however after restarting my phone the version I purchased became up-to-date with full information and depth charts. The water levels are fairly accurate just adjust the depth if you have higher low water for the year. 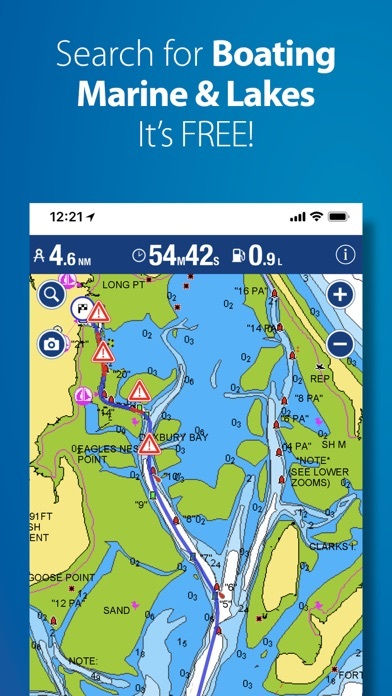 More IOS Apps by NAVIONICS S.R.L.